Head on over to Eversave and grab this super cute Initial Necklace with Swarovski Elements Crystals for only $2!! I’m thinking this will make a great Christmas Gift for my daughter. If you not a member of Eversave you will need to enter your email address. They will send you updates of what they have on sale but you are not required to purchase anything and you can cancel the emails at anytime. Once you have entered your email click on the “shopping” tab on the top of their page. You will find the necklaces their! 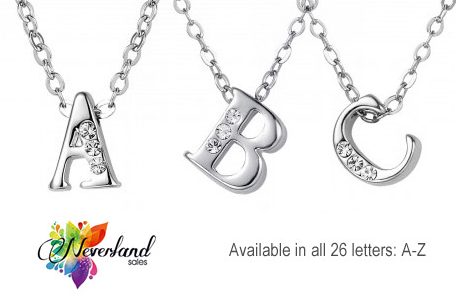 Click here to get your Initial Necklace now!